Highly programmable to perfectly clean anything from helmets and towels, to loops and uniforms, Sports Laundry System washers are available in freestanding and hard-mount models with extract speeds reaching 400 G-force. 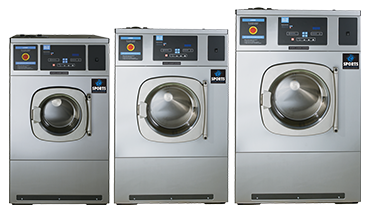 Offering unrivaled efficiency and simple operation, they significantly improve laundry production and wash quality. Backed by industry-leading warranties.